For the last year PocketBook has been actively developed its B2B intended software solution to give more value to the users worldwide. The result of these efforts is PocketBook Digital – the set of comprehensive solutions, which provide unique growth opportunities for companies engaged in book industry. Among the partners, who appreciated the benefits of Digital Solution are Umbreit, Buch&Media and Koch, Neff & Volckmar (KNV) in Germany, TiteLive/Epagine and The Ebook Alternative (TEA) in France, and others. - Effective business planning and targeted promotion. With PocketBook Digital a company may get and use the reading statistics from customized e-readers. The analysis of reading experience and history is a basis for targeted e-content promotions and conversion rate increasing. PocketBook Digital proposes the development of fully-customized reading applications with partner’s content both for Android and iOS. 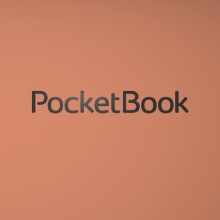 An e-reading application developed by PocketBook provides an extreme level of e-reading comfort with its multiple formats support, variety of settings and communication opportunities such as creating and sharing notes. Another option is the development and customization of an e-book store or a social network dedicated to books and reading. 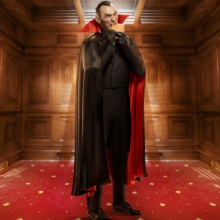 These imply various variants of integration of partner’s brand elements and content. The wide range of PocketBook Digital opportunities includes PocketBook Cloud, which provides to end-user personal space to keep, manage and sync e-books across devices, as well as guarantees syncing of a reading position, notes and bookmarks made at any device. The Cloud Platform ensures high level of content safety due to Adobe DRM standard. PocketBook also offers E Ink e-readers customization, which includes box and device branding as well as full software customization. One of the most remarkable options for sales increasing is opportunity to receive anonymous user statistics from PocketBook e-readers for further analysis and business planning. As an efficient promotion tool stands the ability to send to e-readers the targeted push-notification messages with content recommendations. “In PocketBook Digital we have combined high-end services to meet the key requirements of e-book market. PocketBook Cloud, as an integral part of PocketBook Digital, allows us to create wide opportunities for business growth, connecting our solutions for the web, Android, iOS, and E Ink devices. The key goal of PocketBook has always been the providing of excellent reading experience. 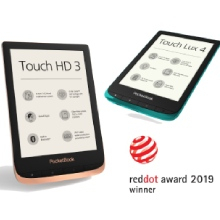 Now, we are proud to create even more possibilities for comfortable digital e-book reading together with our partners”, - comments Enrico Mueller, CEO PocketBook Readers GmbH.